On Tuesday I went to the Panathlon, I took part in 6 different games. The first game that I really enjoyed was the parachute popcorn. In this game we had to run and collect all the colour balls and place them back in their correct tray. The next activity we done was the basketball game. We had to stand behind the blue line and try to score if we scored we will be able to move to the next line. The last activity I enjoyed playing was the number bean bag. We had to throw the bean bag on the number to score points. At the end we were all given a medal and certificate to take home, I was really happy to get chosen and I hope I can do it again. I was overjoyed when I found out I was picked for cross country, as it would be my first tournament ever. However I was also very nervous as I was unsure of the distance and what kind of ground I would be running. Unlike me, most of my teammates had done cross country before. When we arrived I realised just how much ground I would be covering. Firstly, it was the year 5 girl’s race. The people representing our school were amazing as they managed to keep themselves going the whole way. Then it was the year 5 boys and I had to start to prepare myself because I was up next. As year 6 we had to run two and a half laps around the field, up the hill and down it and then the final stretch to the finish line. Unfortunately, I was the only girl from my class representing the school. I jogged through grass, mud and water and was exhausted by the time I finished. If I were to do this again I would ensure I was extra careful when running in the mud. Overall the whole thing was an exhilarating experience and I enjoyed it so much. I had to use my BLP muscles to preserve throughout the race and most of all resilience and reciprocity. The feeling of achievement when I crossed the finish line was amazing. I struggled to gain speed when trekking through the mud. It was ankle deep and both stick and slippery. I jogged with extra caution trying not to slip or to sink into the mud below. Now when I have PE I will have more confidence in myself than ever before! When we arrived, we went to their hall and it had 8 basketball hoops. It was really cool. We started to practice as we hadn’t had these tall hoops before. The tournament started and we were against two other schools (they were very tall) about 5ft 8! We won a few matches and lost some as well. When it came to the points, we didn’t win but it’s okay because all that matters is that we tried and we can learn from this for the next time. 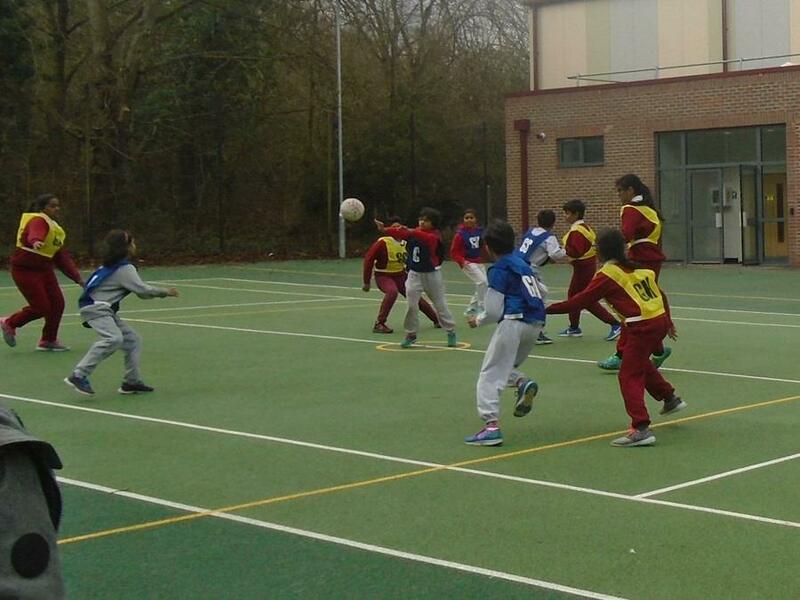 On Thursday 7th March, Mr V (our PE teacher) had organised a football tournament for the Y5 and Y6 girls. As soon as we arrived, the captain (me) began doing some warm ups. Then we huddled up and thought of ways we could defend the goal and score. After that we were split into school groups and told which school we were going to play against. When we went straight into a match, we all did really well to defend the goal. Although eventually they scored 1 point against us. For the next match we drew, however a school dropped out after this which gave us time to have out snacks. Then we had another match where we drew again. Compared to last time (when we lost 10-0) we have really improved. We were very resilient and we did our best – Well done team! The school football team went to a tournament next to an actual stadium called the Hive. For our first match against another school, we had won 2-0 each game was 10 minutes long no half time. Each school got to play at least four games for our second game the score ended up being 0-0 but our team and their team played extremely good. For our third game, we were losing 1-0 but we fought back showing that we were being resilient to make the final score 1-1. For our fourth and final game, we were having a match between one of the hardest schools. We ended losing 1-0 but we didn’t give up. The team showed great resilience as we didn’t give up showing great resilience. We could have played some matches after the tournament but we had to go home. Article 31 says every child has a right to play. 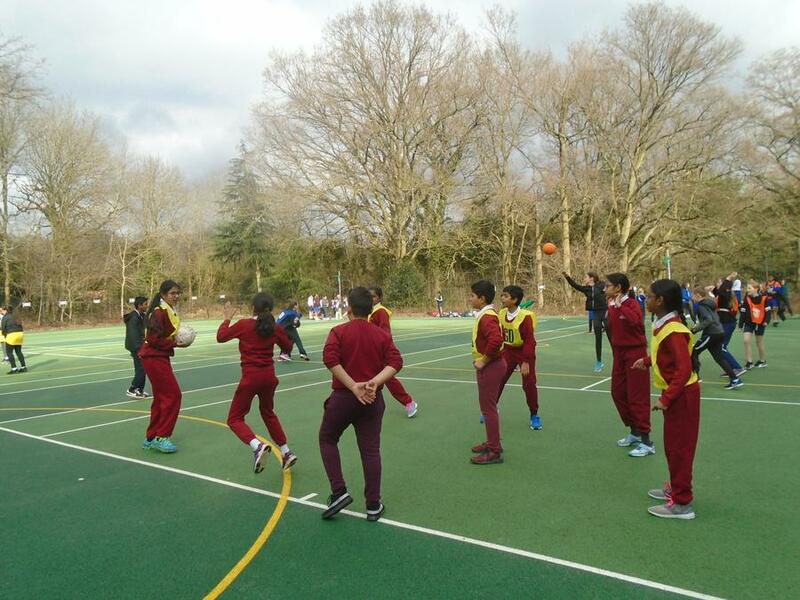 On Wednesday 6th March, the netball team played in the semi-finals! As we qualified top in our group, we played against other teams from other groups. This was a massive achievement for, not only the school, but the netball team too! Altogether, we played 6 matches. We saw all of them as a challenge, but with our heads held high, a loss didn’t end our determination. With the extra training Mr V held for us on Monday, we not only played well but at our best. All of us were so resilient and although we knew that the last match would be tough, we didn’t let that get in our way; we played better than ever. There was so much determination; resilience and passion in us that made us play amazingly. In the end, although we didn’t get to qualify to proceed to the finals. We manged to finish fourth which we were all proud of as we were the first team in newton farm to qualify into the semi – final. We still used our BLP muscles really well. We worked well together as a team (reciprocity) and we were always resilient. The articles that relate to this are article 28 – every child has a right to an education and article 29 – every child has the right to show their talents and for other people to use them. On Monday 11th February we had our first ever netball game at newton Farm against Earlsmead. We won the match 6-1 thanks to the great netball skills and tricks MR V taught us. We also had exceptional teamwork and coordinated very well. Because of this in under sixty seconds our team scored two goals. In total their was four parts to the match which lasted six minute each , meaning that the match would be twenty-four minutes long. There was seven of us in total but only five were allowed to play in each quarter. The team , staff and parents were extremely happy. After the match we all shook hands and we went back to discussed what we done well and what we could improve on. For the match we used BLP muscles. We used reciprocity for our team work , resilience for continuously trying and we also used reflectiveness by remembering and using the skills that we have learnt. The sports festival competition was about each different activity to do and the first one was to make a circle and try to get out of the hoop without using your hands. Next there were different items for each sport and the child had to pick one with us closing our eyes, then we had to guess the items. After that we had to get a ball, there was a target with a ball on it and we had to try and make the ball rolls out of its space. Then it was the football one, first we had to be in two different groups. Then we had to kick the ball into the goal. The next activity was a new one, it had a kind of oval hoop with a stump and we had to throw a circle hoop to land on it. This one was a sack race but it wasn’t a race as we had to be in partners inside the sack. Then we had a rest station where we were able to have a snack and some water. After that we did the egg and spoon race and again new had to be in partners and then the person at the front starts and passes it to the next person. Last but not least we had a badminton racket and we had to balance the shuttle on the bat and get it to the other side. 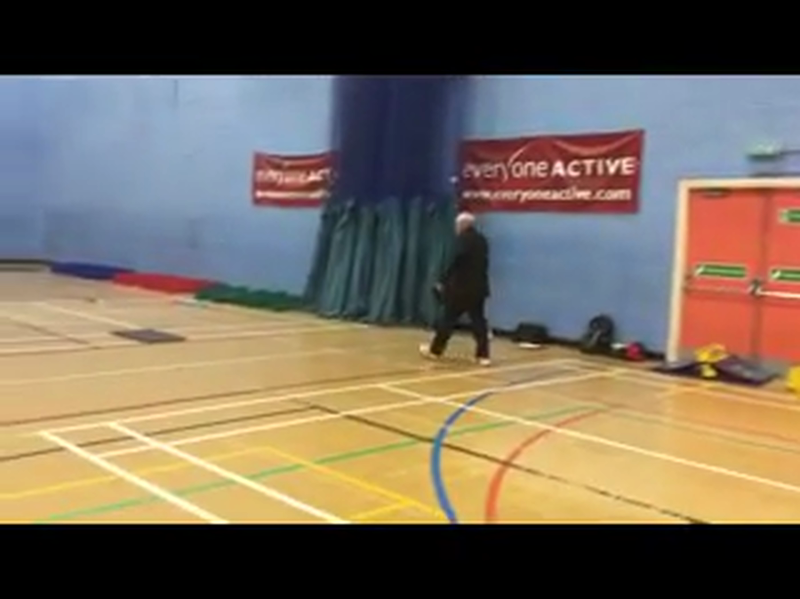 On Tuesday 15th January, we played badminton for our school in Harrow Leisure Centre. There were four boys and four girls selected from Y5 and Y6 and U was really excited to be one of those students. We left school at 12:20 in the afternoon and made our journey by coach. In the tournament, I was absolutely determined to do well. When we arrived I was bursting with excitement. We were greeted by the main co-ordinators and then shown to our courts. The first match was a heavy defeat for our side, but we didn’t let that stop us. Our side continued to play and we managed to win three matches altogether. I really enjoyed these. In some matches, there were really god players that smashed the shots. However I was disheartened when we achieved fifth place in our group. This was not good, as there were only five teams in the group. Overall, it was a very enjoyable experience and I felt like I learnt a lot. On Thursday 17th January some of the year 3 and year 4 went to a girls’ football tournament. We were all excited about the match that we couldn’t even stop talking about it. When we came to school we were really excited to wear our new football kits. My friend and I were so amazed because they had our labels on it. When it was 11:40am we are out lunch, then we were ready to go. It took us about 30 minutes and we had to travel by train. When we got there we were amazed as it was a big ground and all of our parents came to see us and cheer us of course. We were against 3 schools; West Lodge, Pinner Park and Sty John’s School. We won 2 matches but lost 1 so we ended up being 2nd place. As we were going to start we all shouted so that we could help our team win. We all ran to the pitch and got ready in our places. When we started I heard the parents shout “you did it”. When it was the second round we all played extra time and as we got near the goal we did a big kick and Asmah scored a goal!! When we heard the whistle we went to the next game and also got another goal. It was time to go home but we felt good after the games even though it was a hard journey back. Well done to the Y5+Y6 athletics team for their hard effort. On Friday we went to an athletics tournament. The first thing that I did was called an 'obstacle relay'. We had to go through a hi-stepper and make sure a foot was placed in each segment. Next we had to do ten speed bounces and we had to make sure both feet completed the speed bounce. Then we had to jump over two hurdles finally we had to make sure we jumped of each revers-aboard. Secondly I did javelin, we had to see who could throw the javelin the furthest and then the judges would keep track of how long the javelin was thrown. We got three goes to see how far we could throw the javelin. Finally we had to do a standing triple jump - we had to hop, step, and jump from a standing position and we had to see how far we could go. We also got three goes. We used our BPL – Resilience we had to keep working so that we could finish the race. Y5/Y6 Athletics video . 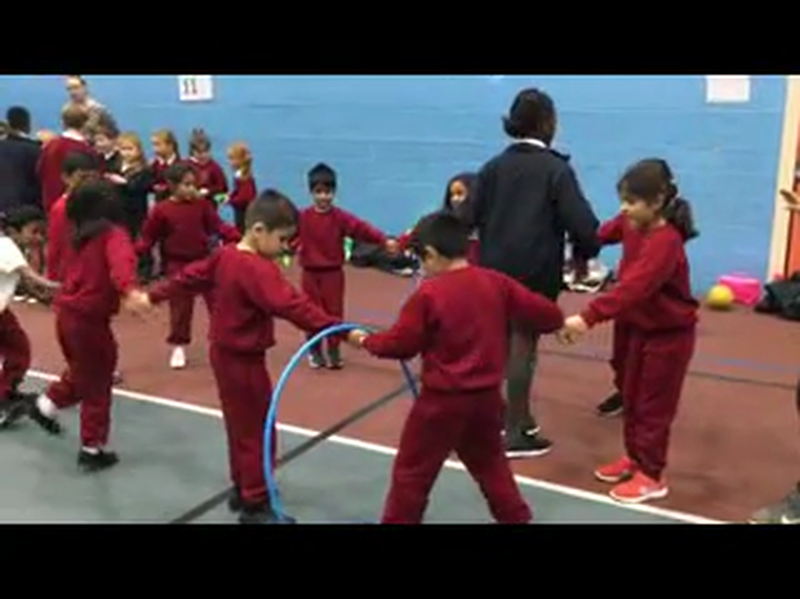 . .
KS1 Sporting Festival video . . . In the dodgeball tournament it was great. We played Wellon Park in the first game. It was the best of five games. We lost the first game but Mr.V told us some tactics to win the game. We got the balls easily and we went back, then we charged forward and hit some back. We had to dodge the ball as it been thrown, we lost the first game and then came back 1-1, and we lost 4-1. After that we played against grimsdyke in a very tight game in which the whole team was showing their skills that we have learnt in P.E. We played Vaughan in another tight game. In the first game Vaughan got two people out of the game and then Asma caught the ball for us so that meant of their person went out and one of ours came in. When Asma caught the ball we manged to get two of their players out. Finally we played our last game against Norbury we just lost 3-2. We was given our score we came third. 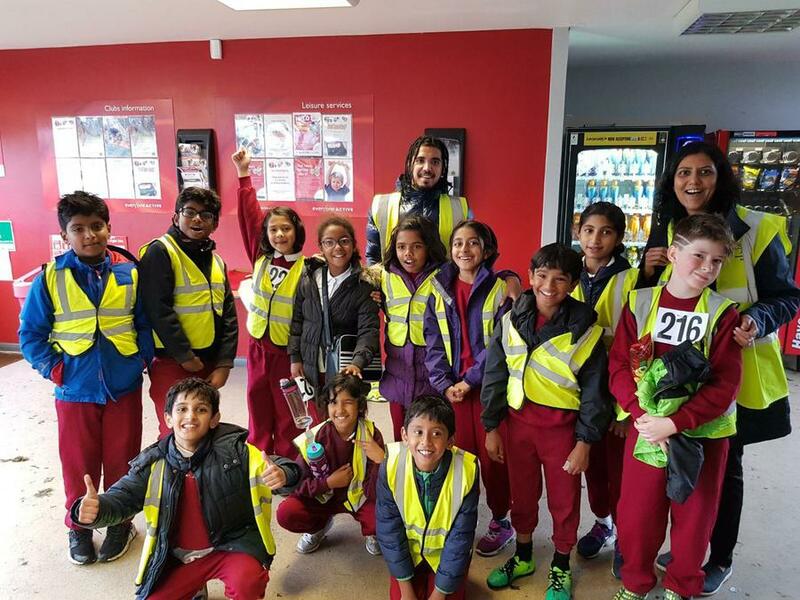 On Wednesday 17th October Year 5 and Year 6 went to a Cross Country Tournament at Banister Sports Centre. There were approximately, 50 schools with around 200 children in each race. This was a competition with a large number of participants, we were taught by Mr V to never walk and have a growth mind set. Next up were the year 5 boys. We had our hopes high for the boys as the girls had performed exceedingly well. The boys were full of enthusiasm as we saw them sprinting at their full potential. The boys had done amazingly well and by now our team had performed outstandingly. Next were the Year 6 girls. I was one of the participants of this race. The race was very exhausting but an amazing experience as we had to run 3 miles. The ranks were outstanding. Lastly the year 6 boys had their race. Again, we were extremely impressed with them and their growth mind set. In the girls the highest rank was 29 out of 200 and for the boys 25 out of 200. Overall it was a magnificent afternoon out and the students, staff and teachers were highly impressed with the team. A massive thank you to those that represented their school in the cross country competition. Girls Cricket - Well done to the girls for their great effort in finishing 3rd place in the cricket tournament. We are pleased to announce our four Sports Captains . . .
Szandra Szogedi an athlete visited Newton Farm School on Wednesday 6th June 2018. Szandra is a Judoka and represented Ghana in the Olympic Games in Rio in 2016. On Thursday 8th February, Y6 had a netball tournament. It was held at Bentley Wood High School in Stanmore. We were playing against schools from around Harrow. There were around 12 schools. We left school at 12:30pm to get to the minibus to the tournament. It took us half an hour to get there. Mr V (our PE teacher) was explaining the rules on the minibus so we knew what we had to do. At last we arrived there and we saw lots of schools walking with us. We arrived at the netball courts and there were so many, 4 pitches in the netball area. As we put our bags on the side, then we started practicing in our section. We practiced passing and moving. Our team was, Abirami, Anneesh, Ammaar, Bala, Apissa Shreya and myself. Our first game was against Whitchurch and we won 3:0. I scored one goal and Abirami scored two! Our second game was against Welldon Park and we lost 3:0. The third game was against Cedars and we drew 0:0. So we did well. In our final game we played Norbury, again we drew 0:0. In total was came third out of 6 teams! What we took part in included Article 31. Netball at Newton Farm School - The story so far . . . The children in Year 6 have shown great resilience in netball matches so far - Loss 21-1 against Earlsmead School, Loss 4-3 against Heathland School, WIN 11-1 against Grange School. 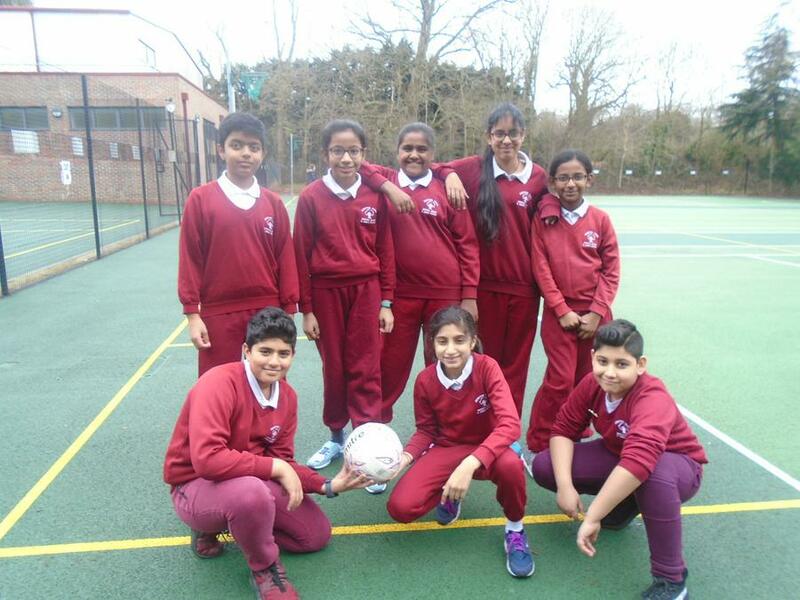 Netball Tournament - The children travelled to Bentley Wood High School to take part in a netball tournament against other schools in Harrow. They played 4 games winning one, losing one and drawing two. They showed great character and skill from the first game. Unfortunately we finished third in our group out of six schools, narrowly missing out on second place. This result shows that as a school we have come a long way since our first game and we are getting better each time we play. 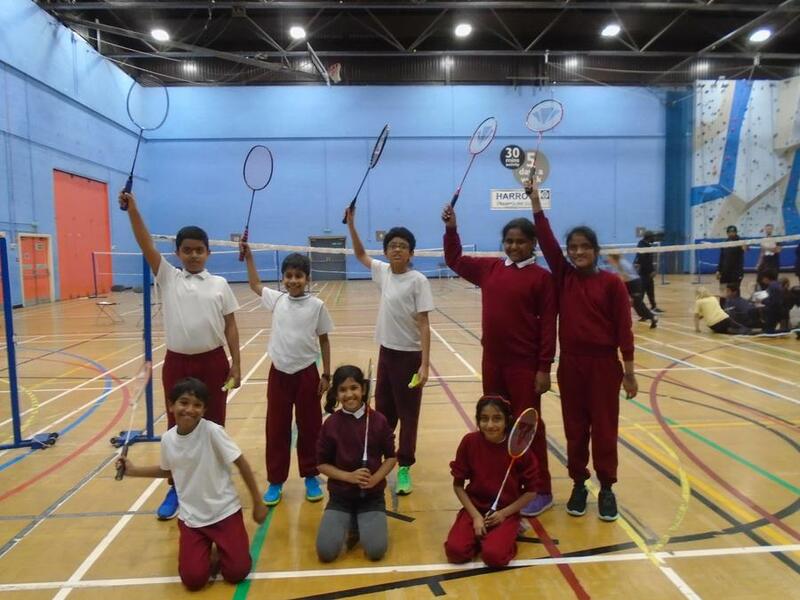 The children worked hard to compete in a badminton tournament against other schools. They won quite a few games. The children worked hard to compete in a Cross Country tournament against other schools. They all ran extremely hard.